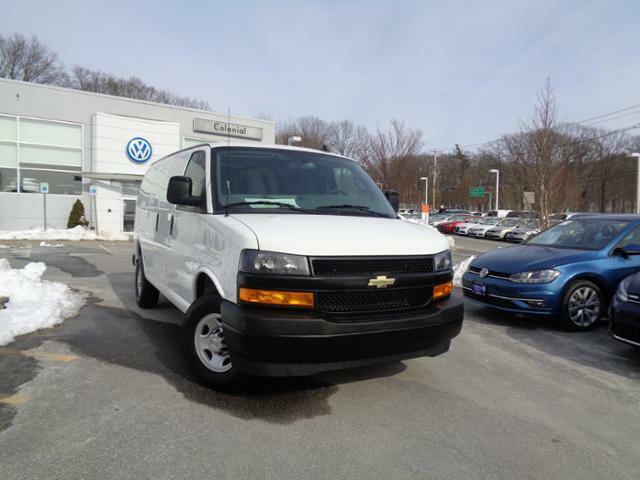 Highlights of this 2018 Chevrolet Express Cargo Van Express Cargo Van include: CARFAX 1-Owner. Back-Up Camera, Onboard Communications System, WiFi Hotspot, ENGINE, 4.3L V6, TRANSMISSION, 8-SPEED AUTOMATIC, ELEC. AUDIO SYSTEM, AM/FM STEREO WITH MP3 P.
AUDIO SYSTEM, AM/FM STEREO WITH MP3 PLAYER seek-and-scan, digital clock, TheftLock, random select, auxiliary jack and 2 front door speakers (STD), ELECTRONICALLY CONTROLLED with overdrive and tow/haul mode, includes Cruise Grade Braking and Powertrain Grade Braking (STD), 4.3L V6 with Direct Injection and Variable Valve Timing, includes aluminum block construction (276 hp [206 kW] @ 5200 rpm, 298 lb-ft of torque [404 Nm] @ 3900 rpm) (STD). Highlights of this 2017 Toyota Sienna LE include: CARFAX 1-Owner. REDUCED FROM $26,995! EPA 24 MPG Hwy/18 MPG City! 3rd Row Seat, Rear Air, Back-Up Camera, All Wheel Drive, Alloy Wheels, Quad Seats. Edmunds.com explains Materials quality is very good, and the dash design is modern and attractive. Seating is plush, and there's abundant storage space along with user-friendly controls..